(Rick Egan | The Salt Lake Tribune) Liquor for a sale at the Utah State Liquor Store in Bountiful, Utah, Friday, April 6, 2012. Drinking one glass of wine with dinner is reasonable. Consuming a pre-dinner cocktail, followed by wine with your meal, then another drink with dessert and maybe a nightcap before bed is, according to health experts, excessive. And if you’re doing that once a week — or four to five times a month— then you may be one of the 12.5 percent of Utahns who binge drink, according to the “Excessive Alcohol Use” report released recently by the Utah Department of Health. Being an excessive drinker is different from having an alcohol dependency in which a person is unable to limit alcohol consumption. But excessive drinking is still an economic burden on the state and its residents, costing Utah $1.2 billion a year in missed work, additional health care costs, increased crime and justice-related expenses, according to the report, which uses state health statistics and national data from the Centers for Disease Control and Prevention. Binge drinkers and their families pay the largest amount of the binge-drinking bill at $512 million, Buckner said. State government takes on $292 million of the financial burden, followed by the federal government at $227 million and others in society at $201 milllion. According to the CDC numbers, binge drinking is defined as four or more drinks in a single occasion for women and five or more for men. Heavy drinking is at least eight drinks per week for women and 14 for men. When compared with other states, Utah’s 12.5 percent binge drinking rate is the fourth lowest. Only Tennessee (11.3), West Virginia (11.8) and Mississippi (12.3) were lower, the CDC numbers show. Utah’s level also is below the national average of 16.9 percent and half that of the District of Columbia and North Dakota, which have the highest binge rates of 25.5 percent and 24.8 percent, respectively. Utah’s numbers are due partly to its teetotaling population — 60 percent of residents are Mormons, who are taught to abstain from alcohol. But the state still has work to do, said Buckner, noting that an average of 33 people died each year from alcohol poisoning from 2010 to 2012. That put Utah seventh highest in the nation for the number of such deaths. While the Department of Health report focused on adults, other reports have shown similar binge-drinking rates for youths. Binge drinking rose slightly among Utah high school seniors, going from 8.1 percent in 2015 to 8.6 percent in 2017, according to the Student Health and Risk Prevention (SHARP) survey. The questionnaire is given every two years to 50,000 students in sixth, eighth, 10th and 12th grades to measure underage drinking rates in Utah. Binge rates for sixth, eighth and 10th grades stayed steady or declined, according to the SHARP data. In the same study, the 30-day alcohol use among high school seniors jumped from 13.6 percent in 2015 to 14.7 percent in 2017. These binge-drinking rates are occurring at the same time that Utah has had record liquor sales. Every month, state-owned liquor stores post 5 percent to 6 percent leaps. 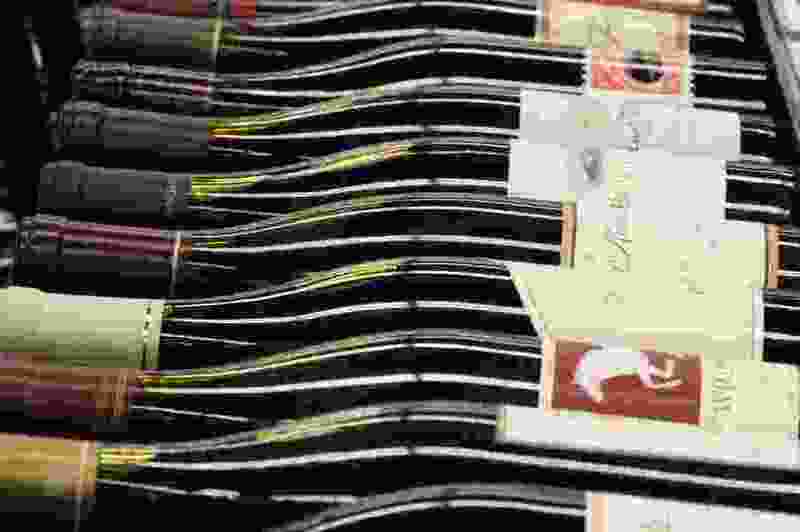 And preliminary numbers from the Utah Department of Alcoholic Beverage Control put annual alcohol sales at about $450 million for fiscal 2017–2018, which ended June 30. In addition to the econmic effects, the “Excessive Alcohol Use” report notes that binge drinking is associated with a number of health issues, including high blood pressure, cancer, heart disease, stroke and liver disease as well as unintentional injuries, violence and fetal alcohol spectrum disorder. • Binge drinking was more prevalent among males (16.7 percent) than females (8.3 percent). • Binge drinking decreased with age. Only 1 percent of Utahns 65 and older reported binge drinking in the past 30 days compared with 18.4 percent of Utahns ages 18 to 34. • Utahns 25 and older with a high school degree/GED or less education reported binge drinking significantly more than those with some post-high school education or a college degree.